Looking back at the Victorian origins of Conservatories and Orangeries we can understand how they became the popular method of extending domestic and commercial properties that they are today. But in addition to the origins of modern day glass rooms we will also consider the different materials being used for the framework of conservatories and Orangeries and which is the most appropriate, or the most popular – PVCu, hardwood, softwood or aluminium. Since most conservatories and orangeries constructed in the United Kingdom are now built using PVCu profiles, we will explain exactly what PVCu is and consider the different types of PVCu profile available. 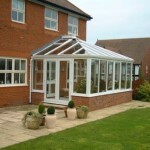 So if you are looking for a conservatory quote or an orangery quote you have come to the right place. Back in Victorian times conservatories and orangeries tended to be glass structures built onto large country houses designed so that wealthy travellers could admire and protect tender plants which they had brought back from their overseas trips. The exotic nature of plants such as orchids was reflected in the increasingly ornate nature of the glass structures – and this resulted in competition for the most diversified plant collection and also the most elaborate conservatories and orangeries. 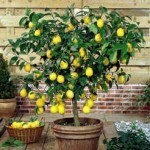 As citrus trees such as orange and lemon were included in the vast collections, the less than humble conservatories became more commonly known as Orangeries. Over the years, building techniques improved and glass became more affordable through mass production, consequently conservatories and orangeries became more popular. Their use gradually changed from glorified greenhouses to providing genuine habitable accommodation with views of the surrounding gardens, whilst offering protection from the British weather. Conservatories and Orangeries became more practical and functional living spaces and are now increasingly popular additions to a wide range of housing styles across the United Kingdom. The introduction of aluminium and PVCu frames used to manufacture the window, door and roof frames and the invention of float glass in the 1960’s – which led to the production of double glazed sealed units – resulted in the tremendous growth of the conservatories and orangeries markets. Al fresco dining and the outdoor lifestyle which the British had become used to during Mediterranean holidays could now be continued when they returned home. Advancements have been made in the design and structure of conservatories and orangeries from simply being a number of windows screwed together with an (often) leaking roof perched on top, to the excellent conservatories and orangeries available today which offer genuine ‘all year round’ usability. Further advances in energy efficient glazing, together with anti-sun and self-cleaning insulating glass sealed units, combine to make conservatories and orangeries very different products to the single-glazed ones with thin polycarbonate roofing sheets of yesteryear. 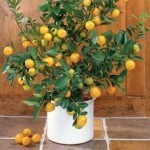 No wonder we get so many visitors to this website who are interested in conservatories and orangeries. The re-introduction of Orangeries, with ornate pilasters, a deep fascia and an insulated, water-tight flat roof section around a double hipped roof, offers stylish extensions to grand houses. But even the smallest, least sophisticated of conservatories and orangeries can be properly constructed, with secure, durable window, door and roof systems which together, provide a second lounge, a dining room, a play room or an office. Modern conservatories and orangeries are a world away from the original structures which were little more than greenhouses and summer rooms. PVCu, hardwood, softwood or aluminium? If you are considering quotations hardwood conservatories and orangeries, good quality hardwood is generally the most expensive product used to manufacture the frames and roof for conservatories and orangeries but it is also considered to be the best in terms of appearance. The availability of poor quality hardwood has not helped this argument in recent years however, and although many traditionalists would never contemplate anything other than hardwood windows, PVCu has many advantages, not least cost and ease of maintenance. Conservatories and orangeries with softwood frames are inevitably the least expensive but will have a much shorter life span than other materials, consequently softwood should not be considered a serious option. Softwood conservatories and orangeries require regular painting and maintenance, and they are generally not as energy efficient as PVCu conservatories and orangeries can be. If you are considering aluminium conservatories and orangeries, they can be quite expensive partly because they should be installed within hardwood sub-frames, and they too are not normally as energy efficient as PVCu structures. Aluminium conservatories and orangeries generally lend themselves more to commercial installations such as restaurant developments on public houses than for use on residential properties. Most homeowners are looking for PVCu conservatories and orangeries and it is the material of choice for most residential customers. 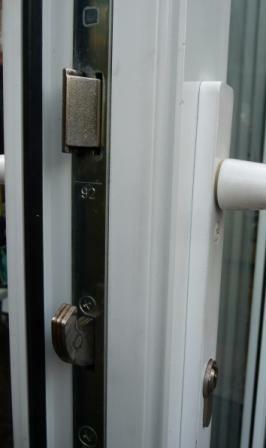 For that reason we will concentrate on PVCu throughout most of the rest of this web site. Most PVCu roofs on conservatories and Orangeries however, do rely extensively on aluminium for reinforcement in the roof spars and eaves beams, both of which are essentially aluminium components which have been clad in PVCu to match the window and door frames. PVCu conservatories and orangeries don’t just have to be white – there is a range of different woodgrain finishes available including mahogany, rosewood, light oak and other timber effects. In recent years coloured frames such as red, blue, green, cream and black have been made available for conservatories and orangeries. And if you are tired of your white PVCu conservatory, you can even change the colour of your conservatory with specialist paint systems. Add to that the ever expanding range of decorative glass features such as Georgian bar, Astragal bar, coloured lead patterns and bevelled glass there are millions of combinations of PVCu frames, roof and glass to suit your home. PVCu is the abbreviation of Un-plasticised Polyvinyl Chloride and is exactly the same product as uPVC. In ‘day to day’ use the terms have become interchangeable but officially ‘PVCu’ has been used since the late 1980’s, bringing the UK into line with the rest of Europe. This is simply because in most European languages the noun (PVC) is placed before the adjective (unplasticised). Polyvinyl Chloride (PVC) is a chemical compound of chlorine, carbon and hydrogen originating naturally from petroleum, natural gas and sodium chloride (common salt). PVC is commonly used in ‘plastic’ sports bags and some shoes after being modified by softening it with the addition of ‘plasticisers’. Un-plasticised Polyvinyl Chloride means that the product has not been modified and therefore not softened, but in its pure form it is still not entirely suitable for windows and doors. Stabilisers and additives are required to improve the longevity, and ensure that it is UV stable and does not discolour. The amount of these additives differs from one manufacturer to the next to form different compounds, though two common additives are acrylic to harden the PVCu profiles and Titanium Dioxide to make them appear a brighter white. How many different types of PVCu profile are there and how do I tell which is the best for me? 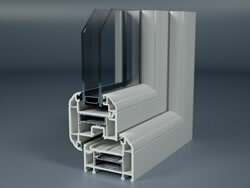 There are hundreds of different types of PVCu frame extrusions for window and door frames used in conservatories and orangeries, the more common ones being manufactured by Deceuninck™, Duraflex, Rehau™, Synseal™, Profile 22™, Network Veka™, Plastmo™ and Kommerling™. Each manufacturer has a number of different ranges to serve both commercial and residential customers and within each range there are individual profiles for doors and windows. Breaking it down even further, different shaped extrusions are required for window and door outer frames, sashes, casement vents, beads, bay poles, sills, mullions and transoms. PVCu profiles are also available in a wide range of colours including 6 different whites, woodgrain effects attempting to replicate, mahogany, oak and rosewood among others, and solid colours such as red, blue, black, green and cream. When specifying white PVCu windows it is important that the frames and sills are made from the same compound and therefore are the same shade of white. O1 is the ‘whitest’ shade of white but it would be unsatisfactory to fit O1 white PVCu frames onto a ‘creamy’ coloured white sill. The issue is highlighted when it comes to conservatories as many installers use conservatory roofs and frames from different manufacturers. This could result in the frames on conservatories and orangeries being a different white to the roof spars – and sometimes a different white again from the sills and trims. Those PVCu extruders which manufacture their own PVCu profile for the many types of window and door frames, conservatory roofs, trims and sills are therefore at a distinct advantage as they can offer a colour match across the full range of products. Add to that all the different types of insulating glass sealed units that are available – clear and obscure, float, toughened and laminated, different thicknesses of glass and widths of sealed unit – and there are an infinite number of combinations, each being more suited to one application than another. The many different types of decorative glass such as Georgian bar, leaded designs, coloured and bevelled glass add not only to the choice but also to the confusion. The choice widens even further when conservatories are included in the equation as glass roofs can now include anti-sun and self-cleaning glass, and that doesn’t account for the many types, colours and thicknesses of polycarbonate sheets for roofs on conservatories and orangeries. 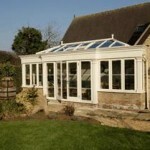 Conservatories and Orangeries: Too much choice? 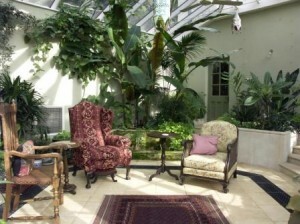 When you are considering conservatories and orangeries, too much choice can cause confusion. When you invite a sales representative into your home to quote for new windows, doors or a conservatory, you may be impressed by the level of knowledge they have and the care that goes into the design. What you will not get though is objective, unbiased advice because for all of the friendliness and empathy the sales representative imparts, they are there for one purpose only – to sell his company’s products, at the highest price he can get away with! Security systems on PVCu windows and doors on conservatories and orangeries have progressed from externally beaded frames with little reinforcement and cockspur handles to internally beaded profiles, full steel or aluminium reinforcement and shoot bolt locking systems. The insulation qualities of the latest ‘A’ rated windows could never have been imagined back in the 1960’s when double glazing in aluminium frames was introduced to the United Kingdom. There are even PVCu windows available which replicate traditional timber sliding sashes, with spiral balances in place of weights and pulleys but with the modern advantages of excellent insulation and security built-in. Just a Quote offers a free online quotation service for conservatories and orangeries. Complete the form opposite and we will introduce you to up to four local companies who design, manufacture and install conservatories and orangeries. We aim to ensure that you receive the best advice, best products, best designs and most of all the best deal. There are fewer industries that have been criticised in the way that the replacement window and door, conservatories and orangeries industry has been in the United Kingdom. The stereotypical ‘double glazing salesman’ is disliked and ridiculed along with tax inspectors and second hand car salesmen, and sometimes for very good reason. Most home owners have heard stories of dubious sales techniques; false discounts, poor quality installations and non-existent after-sales service. And the statistics don’t help either. There are approximately 17,500 window, door and conservatory installation companies in the United Kingdom and they carry out over two million separate installations every year. In the year to March 2011 Consumer Direct received approximately 85,000 complaints regarding home improvements, with approximately 15,000 of those specifically about windows, doors, conservatories and orangeries. There are however, some excellent, well-designed products available which are diligently installed by experienced craftsmen who take pride in their work and who are employed by companies which genuinely do care for their customers. Major advancements have been made in the technology and design of new conservatories and orangeries over the past few decades which have resulted in a much better offering for customers. Alongside this, regulations governing the standards which good quality windows and doors should meet have been strengthened and policed to help improve the industry generally. PVCu products which are designed to resemble real timber are much more realistic and durable than the early versions which not only looked false, but faded badly in sunlight. Equally, composite windows and doors, which are now available in a wide range of colours and wood grain effects, mean that the days of ‘any colour you want as long as it’s white’, are long gone. If you are considering conservatories and orangeries for your home, Just a Quote aims to offer the best advice, best products, best designs and the best deal. Complete the form today and one of our authorised installation companies will telephone you to discuss your requirements. They will only visit your home to carry out a survey if you invite them.